Welcome to ten acres of tropical paradise at the Isla Grand Beach Resort. Our cabana rooms overlook lush foliage cool pools and tennis courts just steps from the beach. The two-bedroom condominiums located in the high rise tower overlook the beautiful Gulf of Mexico. Business is pleasure at the Isla Grand. Our 10000 square feet of meeting space can adapt to your special needs. Relax in the Windjammers Beachfront Cafe while you enjoy an elegant seafood dinner with a panoramic view looking over our pools to the surf. For a more casual fare dine on the Hammerhead Deck or the Whiskey Shack will serve you poolside. Once the sun goes down the heartbeat of the island nightlife pulses at the Quarterdeck Night Club featuring the best bands from all over the United States and hot local talent. Coffee Hut -proudly brewing Starbucks Coffee-: Islands only Coffee Shop serving Starbucks Coffee. Convienently located in the lobby of the Isla Grand Beach Resort. Blue Bell Ice Cream bagels assorted pastries and much much more. Welcome to ten acres of tropical paradise at the Isla Grand Beach Resort. 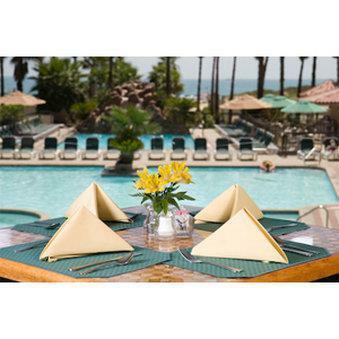 Our cabana rooms overlook lush foliage cool pools and tennis courts just steps from the beach. The two-bedroom condominiums located in the high rise tower overlook the beautiful Gulf of Mexico. Business is pleasure at the Isla Grand. Our 10000 square feet of meeting space can adapt to your special needs. South Padre Island Convention CenterSouth Padre Island Convention Center.